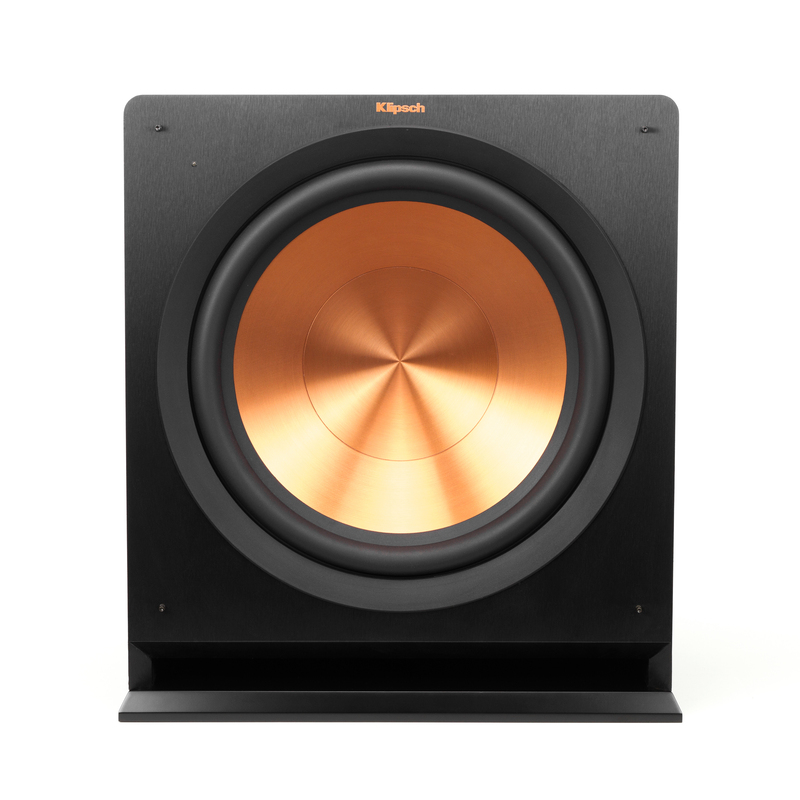 INDIANAPOLIS (October 7, 2014) — Klipsch, a leading global speaker and headphone manufacturer, announces today the launch of three new Reference subwoofers (R-110SW, R-112SW, and R-115SW). The high-performance subwoofers join the line’s in-market R-10SW and R-12SW. All three subwoofers are equipped with spun copper, front-firing Cerametallic™ woofers that are exceptionally light yet rigid to provide a remarkable low-frequency response with minimal cone breakup and distortion. Each subwoofer’s all-digital amplifier delivers ample power with high efficiency and true-to-source accuracy in reproduction. Their front-firing slot ports utilize exclusive internal flare technology to minimize port noise for clean, detailed sounds. Each model also houses a satin painted MDF plinth to produce incredible acoustic decoupling so the subwoofer is heard—not the room. The latest Reference subwoofers are available in a brushed black polymer veneer finish for a contemporary aesthetic that seamlessly integrates into any décor. Removable cloth woven grilles add a rich, defined look that is acoustically transparent. The Klipsch Reference R-110SW, R-112SW, and R-115SW subwoofers retail for $549, $649 and $899 respectively (U.S. MSRP), and are now available for purchase at authorized retailers and Klipsch.com.